The new Barrel House space is upstairs right here at the distillery. 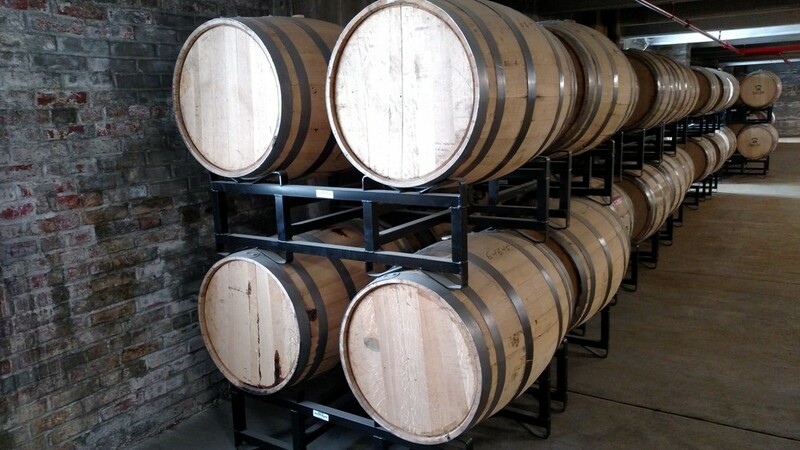 We have begun evaluating our 3+ year old barrels and have found a bunch that are ready. 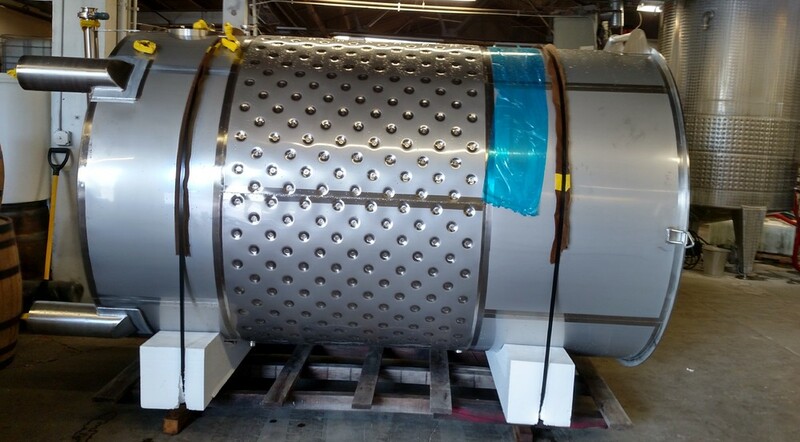 We have started filling our 5,000 liter storage tank in preparation for what should be a release in the fall. It will be on allocation for a while until we get a lot of whiskey in that tank. Good to know. I'll start saving up now! Congratulations on all of this good news! If it makes it to LA I'll pick some up. Thanks for the up date. THREAD RESURRECTION (please excuse the caps; I got carried away). Got a "blast" email from Dad's Hat this AM announcing the upcomingr release of their own 3+ year old straight rye whiskey aged in 53 gallon barrels. 80% rye, 5% rye malt, 15% barley malt. It will be released in the same states where you currently can find it. For more info, go visit their website which I think is www.dadshatrye.com. I have no connection with the company. I do like Manhattans made with their rye and a local vermouth called Capitoline. Yes, we will start shipping our 3-4 year old Straight Rye at the end of September. We have been waiting patiently while we fill our 6,000 liter blending tank . We employ the same strategy for the Straight as we do with our Classic Rye - we do not bottle by batch. We add barrels to our blending/bottling tank - mixing barrels with different flavor profiles together to get the balance of flavor we are looking for. When we bottle from that 6,000 liter tank (we have two, one for the Classic and one for the Straight), we always leave about 1/3 in the tank to blend with the next wave of barrels. So far we have that tank about 3/4 full with a few more barrels to taste and select. We have started to bottle our first samples since we have hit a flavor profile that we like a lot. In October we will have to go back and taste a bunch more barrels to refill that tank!! Meanwhile, we are busy installing more capacity - here is a photo of one of our three new 6,000 liter fermentation tanks delivered this morning. Looks like I'll be shelling out some $$$ for Straight Rye! If your 2 year old single barrel that was done a year or so ago is any indication of how excellent the 3-4 year old is going to be, I'll be purchasing and drinking a fair amount of it! The email I got also mentioned a straight rye bonded single barrel LE which will be available only at the distillery starting in November. If you do get one, you are welcome to taste and then tell us all, "Eat your heart out!" I saw that. As long as my schedule works out, I will try to get a bottle of the BIB. 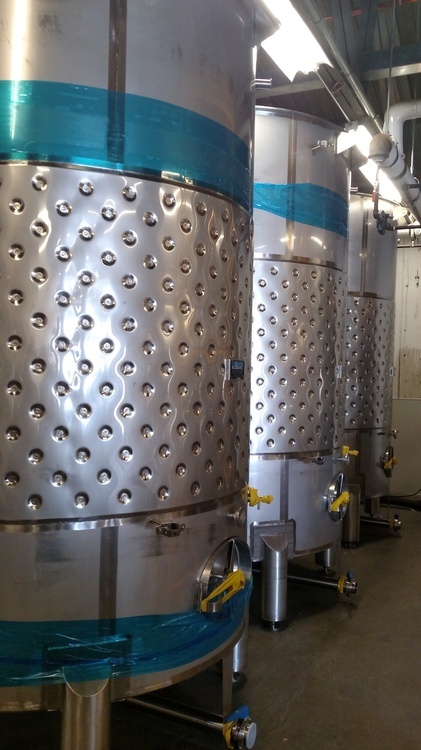 We installed out three new, 6,000 liter, fermentation tanks. After we hook up the automated chilling system they will be fully operational. I will definitely go to the distillery for a bottle of the BIB. I read the first article in the series a week or so ago and have been waiting for the follow up. 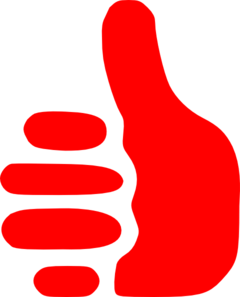 Thanks for posting the links. Anyone who is interested in whiskey history should read these. Anyone interested in Old Overholt's history should doubly read these. 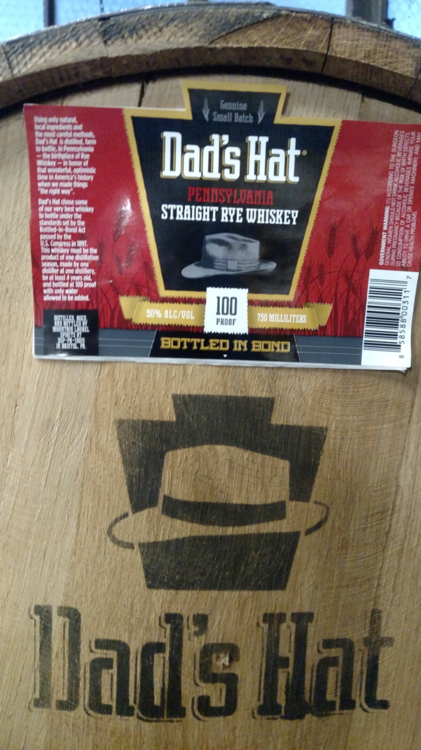 Update on our Straight Rye Whiskey release. We have started shipping. Illinois, New Jersey, Washington DC, and Mass are out the door. California, Kentucky, Delaware and Maryland, and New York are shipping this week or early next. It will be available in PA as an SLO until the end of the year, then the PA State system will start shipping to stores in January. More states coming soon. I'll have to watch the SLO list and snag a few when it's added. I'll be down in November to try and score one of the BIB bottles. Washington will likely be the last state to get this so until then I wish you luck and continued success. If you are in the Phila area, or know someone who is, we will be launching a limited release BIB bottling at the distillery only - first come first serve - on November 5th at 8am in the morning. You can contact us via our contact page on the website for more information. We hope this will be the first of more to come. This is the first BIB, Pennsylvania Straight Rye Whiskey in over 25 years (or more). Unless something changes, I'll be there!